February is Black History Month, a time to reflect on the contributions African-Americans have made to the strength and vitality of our nation. 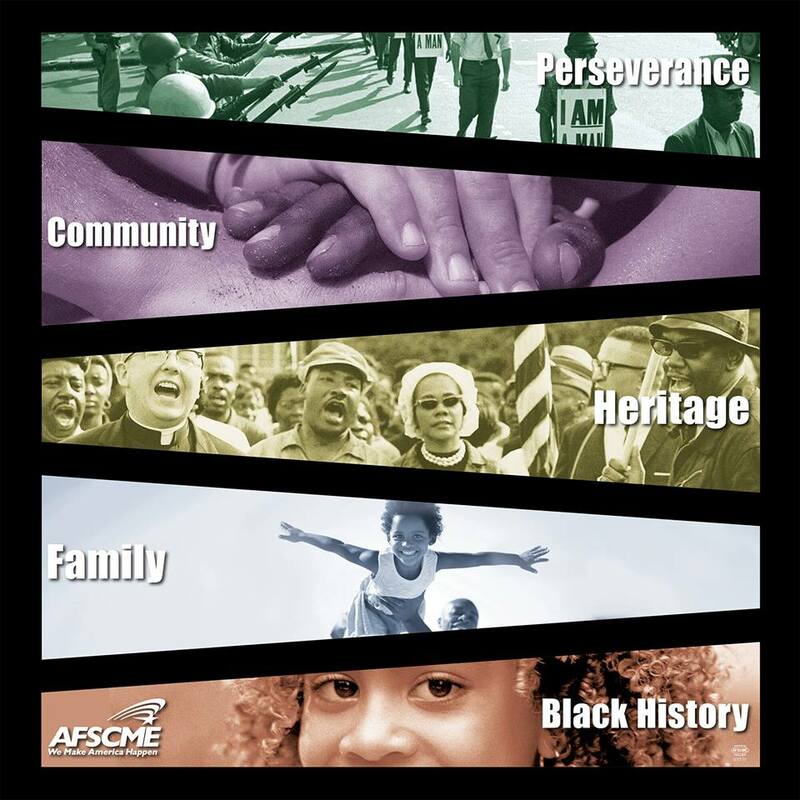 During this month we celebrate and bring recognition to those African-Americans who have made contributions to this nation and to the labor movement as a whole. Progress is not only made by great leaders but by everyday Americans who do their jobs with pride, day in and day out, like the public service workers who are AFSCME members. Download, print and share this image and celebrate and honor the contributions and heroism of the Black community this month, and every month.